Be the first to share your favorite memory, photo or story of Leva. This memorial page is dedicated for family, friends and future generations to celebrate the life of their loved one. 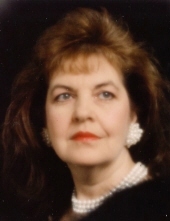 Mrs. Leva Pauline Wisener, age 78, of Cedartown, GA passed away Monday, January 28, 2019 at her residence following a lengthy illness. She was born in Cedartown, GA on January 20, 1941 the youngest child of A.Z. Sanders and Elviney Walls Sanders. She was a 1960 graduate of Cedartown High School, a homemaker and a devoted mother. Mrs. Wisener was a longtime member of the Second Baptist Church of Cedartown. In addition to her parents she was preceded in death by a daughter, Jacqualine Danette Wisener, brothers: John William “J.W. “Sanders and Kenneth Sanders and sisters: Mary Kate Fenley, Hazel Moore and Jeanette Rehbok. Survivors include her husband, Jerry Wisener to whom she was married on May 29, 1960; sons: Stacy Wisener and Chris Wisener (Terry) and daughter, Kitty Longshore (Michael); grandchildren: Hailey Wisener, Avery Wisener, Christopher Wisener, Chase Wisener, Jamison Wisener, Morgan Longshore, Mariah Longshore, Mikayla Longshore, Ashley Ozment and Amelia Longshore. Funeral services will be held Thursday, January 31, 2019 at 2:00 pm in the chapel of the Smith & Miller Funeral Home with Dr. Larry Conner officiating. Interment will follow in the Northview Cemetery. The family will receive friends Wednesday evening from 5 until 8 pm at the Smith & Miller Funeral Home. The Smith & Miller Funeral Home of Cedartown is honored to serve the family of Mrs. Leva Pauline Wisener. To send flowers or a remembrance gift to the family of Leva Wisener, please visit our Tribute Store. "Email Address" would like to share the life celebration of Leva Wisener. Click on the "link" to go to share a favorite memory or leave a condolence message for the family.